This is a short 2.1 mile one way hike from the trail head at the end of El Camino Del Cerro Road. From the trail head hike 0.2 miles to the Junction of the Sweetwater and Thunderbird Trail Junction, turn right (North) to continue on along the Thunderbird Trail. This is the actual start point of the Thunderbird Trail but this description treats the trail start at the parking lot trail head. 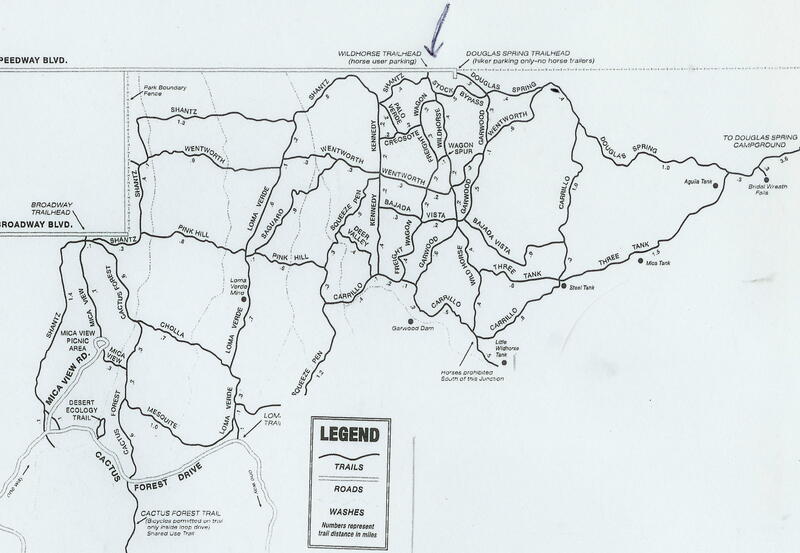 The trail heads in a generally Northern Direction, Passing by the Thunderbird Mine then descending 200 feet to the Gila Monster Mine. At the Gila Monster Mine the trail makes a left up to a ridge for a gain of about 40 feet. From here the trail heads down following on the west side of a wash and ends where the Cactus Canyon and Gila Monster Trail starts. The trail starts out climbing about 50 feet to the junction of the Sweetwater and Thunderbird Trails. From here another 40 feet of elevation Gain takes you to the high point of this trail at 2890. 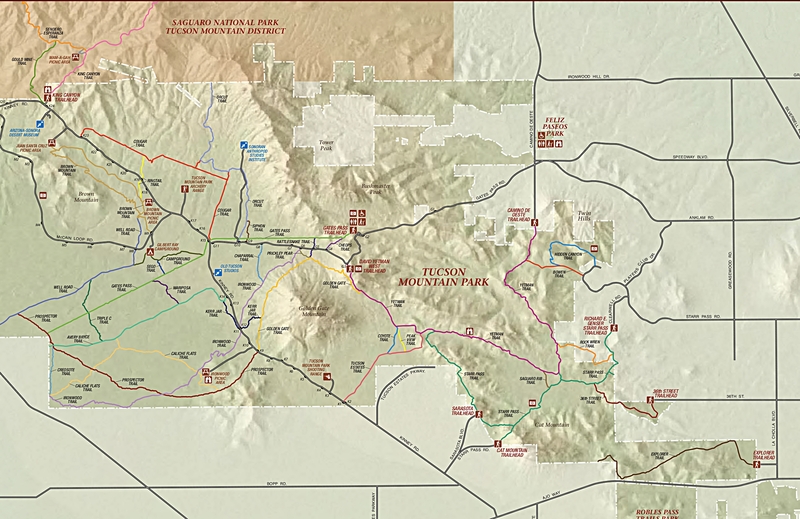 The trail along this portion follows the old El Camino Del Cerro Road that ended near the Thunderbird mine. The Thunderbird mine is not much more than a shallow cave in the side of the hill. Not a long lived or very profitable operation mining for Zinc, lead, silver and copper. 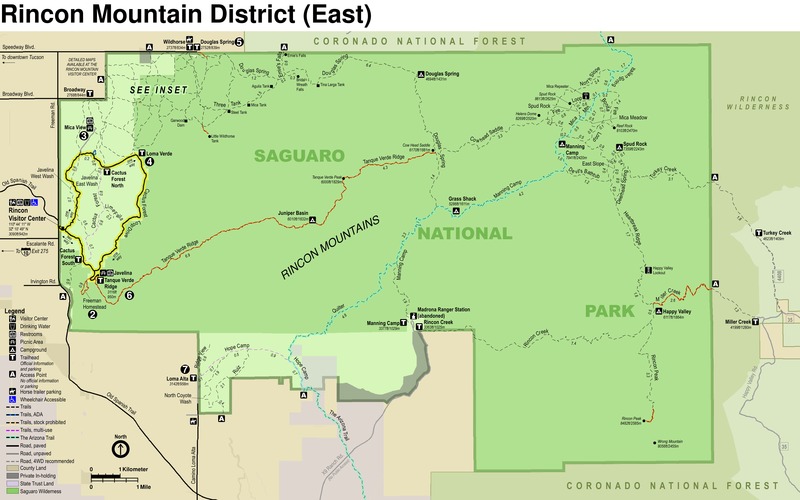 Along this portion of the trail are good views of the Catalina Mountains from a western perspective. For those who live on east side of Tucson this is a totally different view of the Catalina Mountains. From the Thunderbird mine the trail heads down hill about 200 feet in 0.5 miles to the Gila Monster Mine along a trail that is heavily eroded by water but not hard to descend though. The Gila Monster Mine is another small short lived operation mining much the same minerals as the Thunderbird mine. This mine is a 20 foot vertical shaft. From this mine the trail takes a left up a small ridge to cross over to the drainage system to the North. 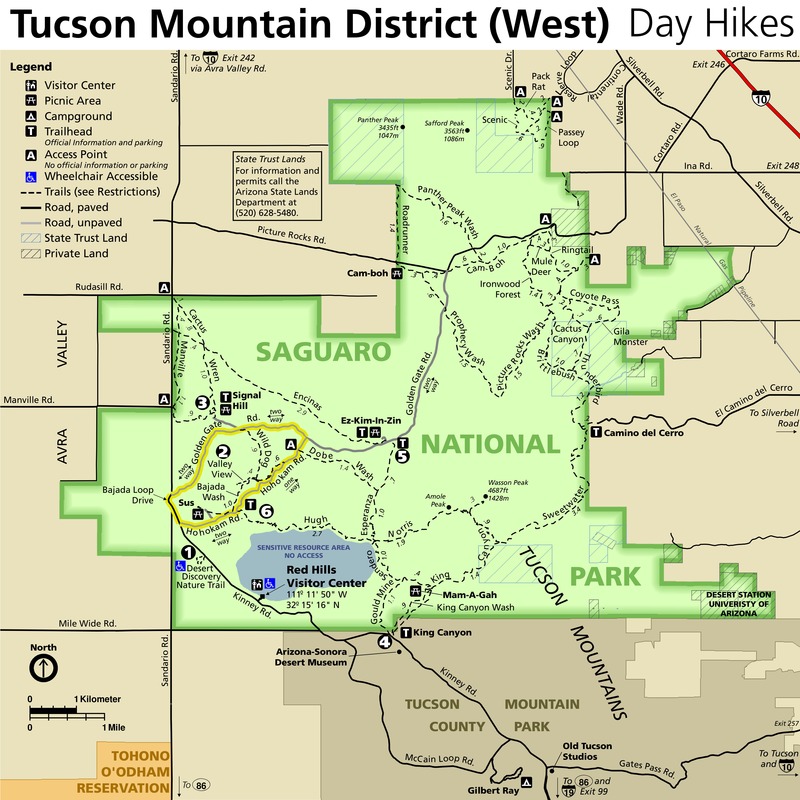 The trail follows along the west side of a stream to the low point of this trail (2550) and the Junction with the Cactus Canyon and Gila Monster Trails. This is the end of the Thunderbird Trail. Not sure why this trail ends here instead of continuing on to a real destination like Contzen Pass along Picture Rocks Road, making this a 4 to 5 mile hike. It could be that because part of this area was once State Trust Land the trail didn’t continue on through. 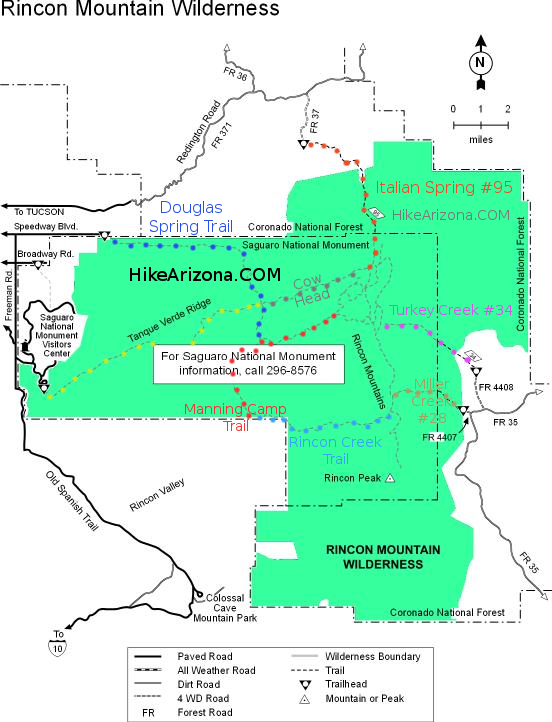 This trail is fairly well maintained and easy to follow. 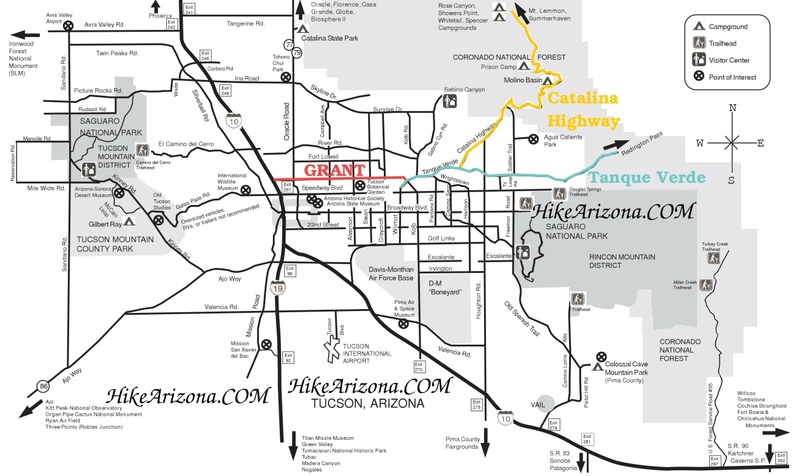 The only points of confusion were near the Gila Monster Mine and at the Junction with the Brittlebush Trail that is not marked. A GPS was helpful. From the end of the trail there are multiple options for returning to the start point by returning the way you came or combining other trails to form a loop trail.